The development and manufacturing of machines and products take place in several stages some of which require more attention and time than others. This can result in delays in manufactuing as well as market introduction. Pronal developed pneumatic activators that can be used for pressing, pushing, guiding, jamming, lifting, etc. Due to their low thickness they can be easily installed and can be found in presses, tooling, conveyors, robots, lift tables in a variety of industries (automotive, agriculture, textile, electric power, civil defense, pharmaceutical, woodworking, logistics, glass, etc. Our teams can develop custom designed pneumatic solutions that can adapt to complex shapes. The selection of raw materials depends on each application. «Since 1992, ART TECH has been developing and producing special machines for industries in the areas of assembly, automation, controls and mechanical handling. Due to ever growing demands by our customers, we have improved our efficiency and economics. 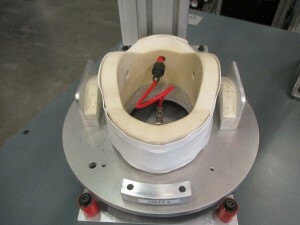 One of our recent projects involved the manufacturing of ski helmets. 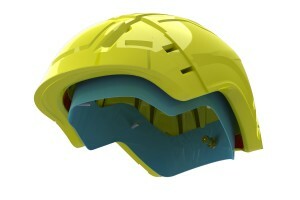 One of the steps requires insertion of a felt inlay into the helmet interior, glue it to the interior of the helmet and press it. In the past this process was accomplished manually: a worker had to use a roller to glue and press the felt into place. This was time consuming and not very ergonomic. We therefore asked Pronal to develop a solution using high pressure bladders.